When I went away to inpatient, one of my best friends (who I went to Iceland with!) gave me a beautiful journal. She had handwritten, on the top of each page, a quote about friendship. Little did I know that her gift would change my life. As that journal became the catalyst for my healing. Picking up a pen and writing was the most healing thing I have ever done. For by putting my thoughts down on paper, I was validating them. For the first time, I was allowing myself to feel, and I gave my emotions a voice. And I wrote in that journal multiple times every single day. Every fear. Every triumph. Every dream for the future. It became an extension of my soul, and a beacon of who I wanted to be. And so I wanted to give this gift to others. But this time, instead of quotes about friendship, I went through and hand selected the Scripture that really spoke to me. The ones that truly changed my perspective, changed my recovery. For I clung to these verses and relied on them for strength and hope and courage. These are the verses that healed me. This journal is meant for everyone. Yes, it will be the most specifically meaningful for someone struggling with an eating disorder or addiction – or who are in recovery – and their loved ones. But it also offers incredible insight for those navigating the challenges of life too. It is my deepest prayer that it moves in your heart, and deepens and guides your transformation process, as I hope it does. You all have been so incredibly loving and accepting of me as I’ve “bloomed” – albeit publicly on the internet – that I wanted to give back. You’ve walked with me along my journey, Bloom is a way for me to walk with you and be with you every step of the way along your path, too. Inspiring and encouraging for someone like me who wants to one day write books! Congrats!!!! Reblogged this on The Seed and The Vine. Congratulations! What a labor of love. Heyyy heartiest congratulations 😍 May u prosper day by day, year by year and achieve heights. Glad to see your book! That is an incredible thing to accomplish, congratulations! I hope to one day publish a cookbook! Pastor, so very very proud of you! First the book then the movie! Congratulations and prayers for you touching so many lives! What an exciting day! I am getting ready to embark on a book journey. I pray that it will be a blessing to countless people. Congratulations and continued blessings on your journey! Congrats! this is wonderful news!! All the best with your book!!!! This is the beginning of a new cycle in your life!! I am thrilled for you!!! You are the PERFECT person to write this. Recovery is tough. I’ve watched you over the past few years and have been so impressed with how you’ve worked within it. Congratulations! You will reach and help people you never imagined. Congratulations…you are such an inspiration!! Congratulations on your book. The cover is very inviting. May it reach and help those in need of healing. congratulations! it will be a big success. Congratulations, that is awesome!! Who knows how many lives you will help transform into what they were born to be!! Yay!! I had to order my copy before I came back to read the post. I am so looking forward to feeding my soul with this delightful feast. Congratulations! Nothing like seeing your words in print for the first time. Enjoy the jubilation! This all looks very cool! I’m so excited for you! Congratulations! I am so very proud of you…your words will probably save lives. Thank you for your courage. Congratulations! From your previous post, looks like you had a great time in Iceland! And good job finishing your book. It’s easy to start projects, especially writing projects, and never finish. Always wondering and editing. 🙂 Best wishes in the future; will there be a sequel? hahaha. Congratulations on the release of the book! What an exciting time for you. I’m sure lots of hard work putting it together (maybe even a little blood, sweat and tears too) . . . but it will help so many others through difficult times. So very happy for you Caralyn! Happy to see your perseverance, honesty and kindness rewarded. Please keep us loyal blog readers posted on how it does. I’m sure it will go over great. Can’t wait to read it and try out the journal. By the way, what a great book title, so very appropriate. Congratulations again on your book and the success of the blog. Most important, congratulations on your recovery and good health. God bless you and all the best! Congratulations. What a fantastic achievement! That’s wonderful! What a thoughtful gift for your friend to give you. I’m so glad that was how the journal entries you shared came to be. I think your book’s title is perfect! 🙂 Congrats, again!!! Amazing 🙂 What is a miracle? A miracle is just a shift in perception from fear to love. If you change the way you look at things, the things you look at change. You are the visible proof that such an inner transformation is possible. This is the greatest of all miracles. The Risen Christ is the visible icon of our own True Self and healed mind in perfect oneness with the Spirit. Again, I am so happy for you. This is so beyond awesome and amazing. I haven’t even read the book yet and your post about it touched my heart. Thank you so much for being you and being brave. Thank you, Caralyn 🤗. I feel the same way. You are encouraging me and others. Congratulations! To God be the glory! ! Congratulations God is indeed good. Congrats!!! You are deserving of this success. Learning how to accept yourself and heal your suffering with grace, honesty and courage is spectacular. Showing others the tools that you learned and spelling out how to overcome the behaviors that lead you down the road of uncertainly and too triumph with recovery is very beautiful. It may be hard, scary and frustrating, Yet it’s not impossible. Remember “nothing is impossible the word itself, says I’m possible” Way to go Kiddo!!! Good for you! Very proud of you, I FB’d and Tweeted this out for you. Best wishes. Sooooooo proud and enjoyed excited for this beautiful ministry of yours! How good God is to bring beauty and consolation out of our weakness and mistakes. Keep blooming, beautiful one! Congrats!! Congratulations on your interactive book being published. Truly blooming out of the ashes into victory. Hugs to you! Caralyn…..!!! Woooooo hooooo! Guess what is on the way??? That’s right. A COPY OF THE LONG AWAITED BLOOOMMMMM BABY! Woooo…I can’t stop smiling right now. You did it Caralyn. You did! Congratulations. Twitter is how I got the official announcement, of your book. You are what I think of as an upstanding individual, if I do say so myself. You’re more socially responsible, as in you seem quite aware of consequences among people, than a lot of other people. Really, a blog comment such as this doesn’t do justice to you or your values, but I wanted very much to jot on your blog this word of congratulations. Congratulations dear! Cheers to this expansion of your ministry! God bless your heart. OMG I’m so happy for and proud of you! God has truly given you a gift and I’m so happy that you are sharing this with the world! May God continue to bless you in all that you do. You are Awesome! Congratulations I hope that your book is a huge success! Whoa…. that’s why it’s a book book. Ambitious. Nice bag. I read televangelists are being banned in Iceland. Be careful. Its true. It is kind of funny. The more showy Christians. On a lighter note a church in Salt Lake collected food for Hurricane Harvey. I’m going to Houston to deliver. It is a good day. The city of Boise donated a truckload of veterinary supplies. It’s great, kind of offsets the Hell that’s going on down there. One more. How do you feel? I know the general sentiment is positive but, more. How do you feel? That’s cool. I felt worried after publishing. I shrugged it off though and started looking toward my next one. Just. Wondered. Need to get an address so I could buy things. Your book. I had an apartment. Paid 11 months rent. I was home two weeks. I am so excited for you! Congratulations! Would it be available on Amazon? You’re welcome. I mostly order through Amazon, but I’ll try Blurb and see how that goes. Good job. Very happy for you and for all who will be hopefully helped by your book. May God continue to be with you on your journey. Sending my love and heartfelt congratulations! Wow! That must feel incredible, it’s such a big deal – a real achievement! (I bet you can’t put your copy down!). I am certain it will be a big hit – you deserve it for all of the good work you do. Congratulations! Seeing you get so far is just so inspiring and makes me so happy for you. You’re really seizing each and everyday and making the most of it. Thank you for doing this, releasing your book. That’s such a beautiful gift to give to anybody who suffers from anything. THANK YOU. Congratulations, Caralyn! I look forward to reading it. Will get it soon. And I pray that it will help many in the struggle. And all of us to help them, and find the help we need ourselves. The book’s out! Yay! I wish you all the very best, Caralyn…! This is just another beginning of beginnings. Ride on BBB. Good work. Hey sweetie, congrats on the launch of your book!!!!!! I think it is great you opened up about your struggles and illnesses and are inviting everyone else who has similar issues to do the same with you! I knew a girl back in elementary and middle school days in NJ where I grew up who battled with anorexia, and it hurt to watch because she was beautiful like you are, but had a very poor self-image of herself. I have no idea what ever happened to her, but it is inspiring to know that it is something a person CAN overcome, with Christ! I hope you are able to reach all the people God wants you to with your book! Is there any way I could email you privately about Patreon? If not that’s cool, but if so then please comment back on my profile (unless you have the option to email me in which case you can feel free to do so)! Thanks. Congratulations on your journey, your milestones, AND your book launch!!! I am so incredibly happy for you! ❤️❤️❤️🎉🎉❤️❤️ You deserve it. Welll, LOOK. AT. YOU!!!! My friend has definitely taken her life to the MAX! The light is on 100%, the Tiffany is lamp shining like a multi-colored beacon, and here you are helping more than just one person with your story! The book idea is BRILLIANT in format! Interactive? Great idea! I keep saying this, but – I am so proud of you and happy for you! From a quiet voice in the shadows to a full-throated roar by God’s grace, here you stand in His Power. Do you recall when I wrote “Beauty and the (ED) Beast?” So you have the book down. Next step is the movie, right? You’ve come this far; who’s to say this is the end of the road? 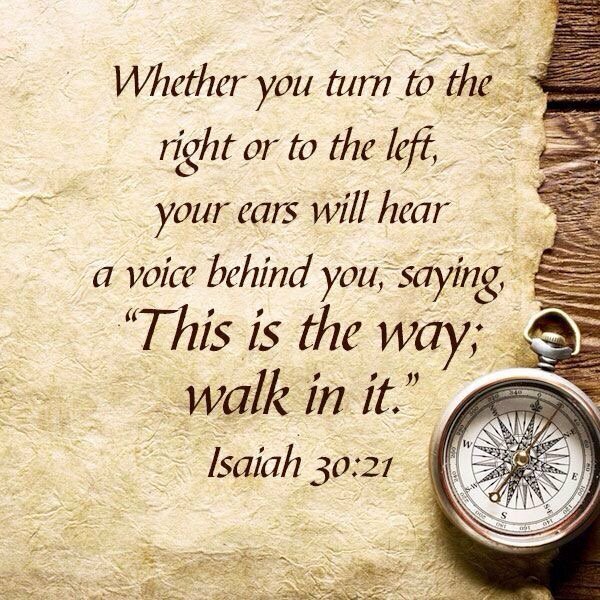 Especially when God is the one building the “highway in the wilderness. making paths smooth!” Well done, you!! Your writing is so powerful and meaningful! We have only recently connected as fellow bloggers, but I can’t wait to read your book. You have been following my posts: spoken to me…and I have been following your posts with great joy and interest. Spirit connection, beyond a doubt! This is truly a God thing because I’ve written a book about my journey through stage III breast cancer treatment and it is all taken from my journals and scripture that helped me through my year of treatment. I know I have been drawn to your writing for many reasons. Thank you for putting yourself out there! Congratulations! Excellent job!!! I will order as soon as things get back to normal with Hurricane Harvey so I can know that I will get it in the mail!!! Way to go after your dreams!!! Let’s Bloom! Cmon with the cmon. My favorite blogger has published her book, Bloom. I’m excited by this, because, aside from publishing a book which is hard enough, she’s written it in an interactive format. 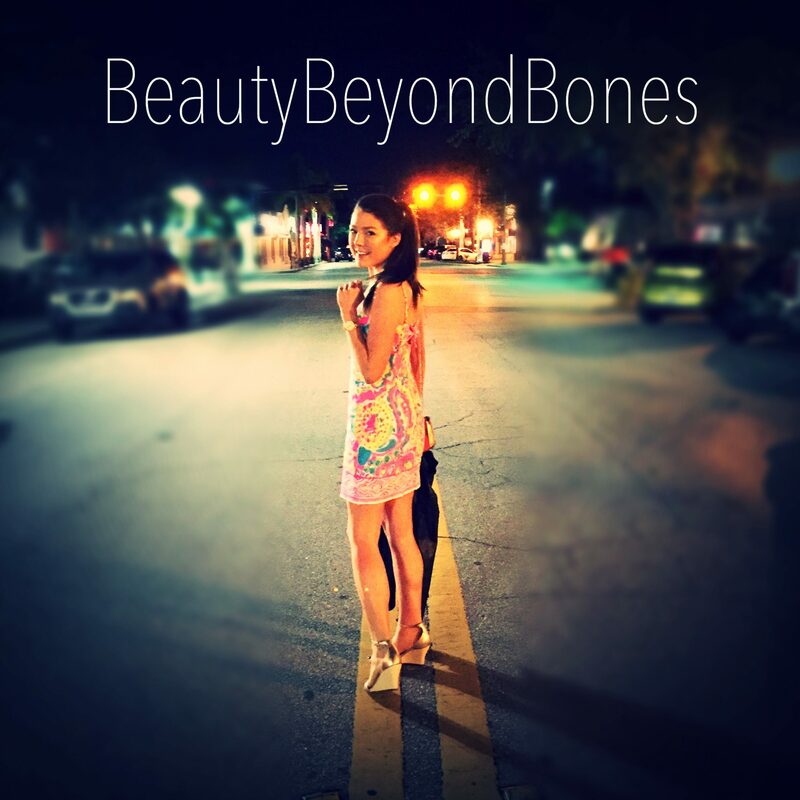 She doesn’t just tell us her story of recovery from anorexia. She models it for us and provides room for us to write in our own progress from WHATEVER struggle we are in. It can be an eating disorder or any fight we feel we are losing! Are you trying to overcome? Are you in the battle alone right now? Well, hang on…the cavalry is coming; it’s Blooming! My pleasure. Also sent you a email just a bit ago to catch you up on a few things I’m getting juiced about. 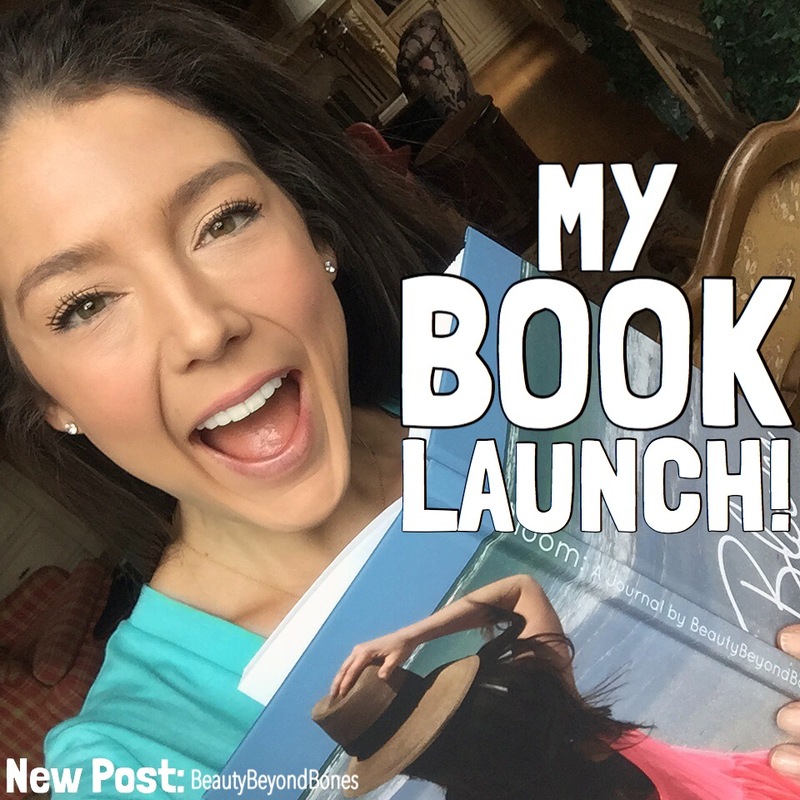 I have followed the journey of recovery and faith of this young woman for a couple of years and I have reblogged this post (something that I do not often do) to let you know that she has a new book coming out that…well I’ll let Caralyn explain in her post! If you are someone you know is dealing with an eating disorder I encourage you to read her posts and get the book! I am praying that God uses this book to accomplish positive and Christ-centered change in someone’s life! And also…I re-blogged this post so that others might find the hope in Christ that you have! This is awesome! Congrats on the book release! Congratulations on getting your book out! i pray it goes a long way and even beyond eating disorders! God bless! Congratulations on your new book! Will be purchasing! CONGRATS! I’m shouting from the rooftops in Virginia for you!!!!! YAY!!! So excited for you! I love that you are sharing your story and your hope with others. Wow! How exciting to experience God’s purpose through this amazing journey of life, in suffering, pain, and now joy in the journey. May God continue to fill you with the LORDship of His Son. Praying your book will help many experience true freedom in Christ. Blessings!!! Congrats Caralyn! This is so exciting! I can’t wait to order a copy. I’m sure it will be very inspiring. 💙 God’s using you to shine a light for sure! You’ve definitely been an inspiration for my ED recovery. Always my dear. Hope your mom is doing well. This is soo inspiring. ❤ A big hug and congratulations on getting your book published! 😊 And hey, I looo forward to reading it. 😊 Lots of love and blessings to you. Wishing you great success with your new book! Congrats! Congrats!! Honestly, thank you for encouragement today! Your welcome and much love and hugs!!!! Congratulations! Congratulations!! Congratulations!!! Onward and Upward! Hugs!!!! Amazing!!! Congratulations, what a great accomplishment! Best wishes on your book launch. What a journey for you. May it truly be a blessing to those who read your story and are inspired to be the person God calls them to be. Peace. From a sister-in-Christ and fellow blogger. Congratulations! I reblogged this in my site. I pray the Lord Christ blesses so many through your story! Congratulations! A wonderful accomplishment, a beautiful triumph, and an inspiring message. May the best come to you! Congrats! This is so awesome. What a wonderful way to share your faith and encourage the faith of others. You are such a beautiful daughter of God! A job well done! Congrats! You are welcome. Where can I order the book from? I reside in Nigeria. Congratulations, Caralyn. What a wonderful achievement. May God use your work to help transform many lives! M. A. Awesome! Congratulations, Caralyn. I’m so glad you finished it. I’m sure many will be blessed by your journey. What an achievement! Congratulations – and I pray that your book is hugely successful, and more importantly, a blessing through which God can work wonders in many lives! Congratulation on the book! Great work! Eeeew! I’m so excited for you! That’s supposed to say “eeeeeeek!” ha Totally now Eeew! lol sorry, girl! Hahahha gotcha 🙂 no worries!! Through thick and thin, something worthwhile has come out. Congratulations and best wishes!!! Love you! You’re a very strong young woman. Delighted about the news of your book being out. Must go get a copy this weekend. Congratulations! Proud of you. Congratulations! Blessings! 🙂 I hope to check it out soon. You are awesome girl! God made you in His image and He loves you sooooo much! Your book will speak to so many women, young and old, struggling with their image. God’s going use you mightily! Only speaking the truth. I call em how God sees it. Congratulations on your recovery and your book. Thanks for being such an inspiration to so many. My pleasure. Your work is actually wonderful. You are a real inspiration. May God continue to use you for mighty works. Amazing I wish you much joy and luck with your book and I hope it helps others recover too. I would love to reblog this on my blog if that’s okay? Wow!!! I’m going to have to get a copy just to show support!!! I’ve enjoyed reading your blogs since DAY 1!!! I’m writing my FIRST book!!! Congratulations!!! Congratulations, Caralyn! The title of your book is simply perfect. Thank you for your willingness to say “Yes” to His call to serve others in such a beautiful way, by bringing new life to them on every page. Hugs and blessings to you! Cool! Where is it sold? Congratulations on your book launch! I can only imagine this being an incredibly exciting time for you right now. Who would have thought all the purpose that has come out of your pain. But God! You’re the inspiration I needed. Congratulations! What an inspiring story you have, and what a powerful journey. I love the idea of putting one of the scriptures on each page. 10 years is a remarkable milestone. I had a friend who didn’t make it, and I admire you for your success. Congratulations! What a beautiful idea. Sharing Christ, your story and helping others. Congratulations, this is wonderful news. And a product of your hard work and dedication. Wow.. Keep on high speed BBB. Please see my blog post at https://wordpress.com/post/reclaimingmysanity.com/1340 where you have been nominated! Thank you so much for taking the effort to write this blog that helps so many people, and now this book which I’m sure will be a priceless resource for those struggling in recovery as me. I can’t wait for it to arrive home. Your blog was the first one that encouraged me to choose recovery when I was still completely into my ed and since day 1 you haven’t ceased to comfort, help and inspire me. God has given you a great mission in your life and you should be proud of how you’re accomplishing it. I thank Him and you for that.